The Irish novelist and essayist C. S. Lewis was best known for his essays on literature and his explanations of Christian teachings. On November 29, 1898, Clive Staples Lewis was born in Belfast, Ireland. He was the son of A. J. Lewis, a lawyer, and Flora August Hamilton Lewis, a mathematician (expert in mathematics), whose father was a minister. At four years old he told his parents that he wanted to be called "Jack" Lewis, and his family and friends referred to him that way for the rest of his life. Jack's best friend as a boy was his older brother Warren. They did everything together and even created their own made-up country, Boxen, going so far as to create many individual characters and a four-hundred-year history of the country. Lewis's mother, who had tutored him in French and Latin, died when he was ten years old. After spending a year in studies at Malvern College, a boarding school in England, he continued his education privately under a tutor named W. T. Kirkpatrick, former headmaster (principal) of Lurgan College. During World War I (1914–18), which began as a conflict between Austria-Hungary and Serbia but eventually involved much of Europe, Lewis served as a second lieutenant in the English army, interrupting his career as a scholar that he had begun in 1918 at University College, Oxford. Wounded in the war, he returned to Oxford, where he was appointed lecturer at University College in 1924. In 1925 he was appointed fellow (performing advanced study or research) and tutor at Magdalen College, England, where he gave lectures on English literature. In 1926 Lewis's first publication, Dymer, appeared under the pseudonym (fake writing name) Clive Hamilton. Dymer revealed Lewis's gift for satire (a work of literature that makes fun of human vice or foolishness). The Pilgrims' Regress, an allegory (an expression of truths about human existence using symbols) published in 1933, presented an apology for Christianity. It was not until the appearance of his second allegorical work, The Allegory of Love (1936), however, that Lewis was honored with the coveted Hawthornden prize. The Screwtape Letters (1942), for which Lewis is perhaps best known, is a satire in which the devil, here known as Screwtape, writes letters teaching his young nephew, Wormwood, how to tempt humans to sin. Lewis published seven religious allegories for children titled Chronicles of Narnia (1955). He also published several scholarly works on literature, including English Literature in the 16th Century (1954) and Experiment in Criticism (1961). Although Lewis went on to publish several works involving religion, he had lost interest in it early in life and only later "converted" to Christianity, joining the Anglican Church. His autobiography (the story of his own life), Surprised by Joy: The Shape of My Early Life, fails to explain what happened in his childhood. His headmaster in boarding school, a minister who urged him to "think" by hitting him, may have contributed to this change. Lewis went on to become a professor of English at Cambridge University, England, in 1954. Widely read as an adult, his knowledge of literature made him much sought after for his company and conversation. Lewis thoroughly enjoyed sitting up into the late hours in college rooms talking about literature, poetry, and religion. In 1956, rather late in life, Lewis married Joy Davidman Gresham, the daughter of a New York Jewish couple. She was a graduate of Hunter College and had previously been married twice. When her first husband suffered a heart attack, she turned to prayer. Reading the writings of Lewis, she began attending church. Later, led by his writings to Lewis himself, she divorced her second husband, Williams Gresham, and married Lewis. She died some three years before her husband. 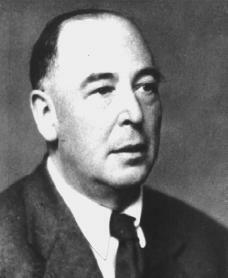 C. S. Lewis died at his home in Headington, Oxford, England, on November 24, 1963. A major collection of his works is held by Wheaton College in Illinois. Adey, Lionel. C. S. Lewis: Writer, Dreamer, and Mentor. Grand Rapids, MI: William B. Eerdmans Pub., 1998. Como, James T., ed. C. S. Lewis at the Breakfast Table and Other Reminiscences. New York: Macmillan, 1979. Glaspey, Terry W. Not a Tame Lion: The Spiritual Legacy of C. S. Lewis. Nashville: Cumberland House, 1996. Lewis, C. S. Surprised by Joy; the Shape of My Early Life. London: G. Bles, 1955. Walsh, Chad. The Literary Legacy of C. S. Lewis. New York: Harcourt Brace Jovanovich, 1979. He is a very good author. I really like his books and movies. I would like to say one thing. C.S. Lewis's death date I believe is incorrect. I am pretty positive that he died the same day that John F. Kennedy was assassinated. I am only saying this just so that people have an accurate day of his death, instead of being falsely informed and then confused about the information that was given. Again I am only saying this to help benefit and support the work, not criticize it and break it apart. Yes he died Nov 22 1963. The bio was very good! It really helps me learn more about him.